5 p.m. on Tuesday, December 9th, "Get On! Estonian Tribute To Hurriganes" will be launched at Scotland Yard in Tallinn. 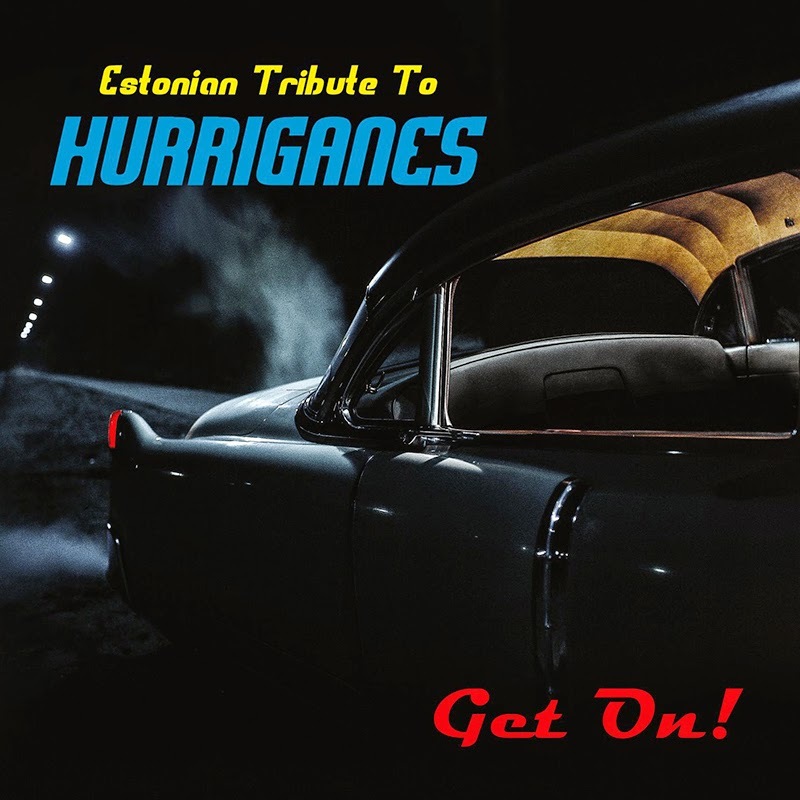 With guest vocalist Mikk Tammepõld (Dramamama), Roots & Terep contributed opening track "Hear Me Calling" - a Hurriganes classic from the early days, written by Alvin Lee and originally performed by Ten Years After. The entire album will air today 5.30 p.m. (Estonian time - 3.30 p.m. UK time) on the Üheplaadilaulud programme with Andres Põllu on KUMA radio, featuring a phone interview with Andres Roots - you can tune in online here. Hurriganes – with a "g" for "extra Texas" – were a groundbreaking Finnish rock & roll group, active 1971-1984 & briefly resurrected in 1988. Best remembered as a trio, the band centered around Remu Aaltonen on vocals & drums & Cisse Häkkinen on bass & vocals, with a Yardbirds-like rotating cast of ace guitarists: Albert Järvinen, Ile Kallio & Janne Louhivuori. Their success in Finland & Sweden was unprecedented, their fame spread far & wide, & with the help of radio, TV & the occasional smuggled LP, their influence even travelled where few "capitalist" groups were welcome at the time: across the Gulf of Finland & beyond the Iron Curtain. "Get On! Estonian Tribute To Hurriganes" presents a selection of Hurriganes tunes performed by several generations of Estonian musicians. While most were recorded expressly for this project, the title track is a previously unreleased 1977 cover of that European Pop Jury winning rocker by the legendary Apelsin, who at the time of writing are celebrating their 40th anniversary. It's also the 40th anniversary for the tune: "Get On" first appeared on the 1974 Hurriganes LP "Roadrunner", generally considered their finest effort, with an iconic sleeve designed by Risto Vuorimies. The cover photos used for this tribute are outtakes from Vuorimies' original "Roadrunner" shoot & the rare black & white images inside depict Remu, Cisse & Albert in action in 1973. The sleeve was designed by Siret Roots. This Outlaw Music release is currently available from Lasering, Apollo, and Rahva Raamat. 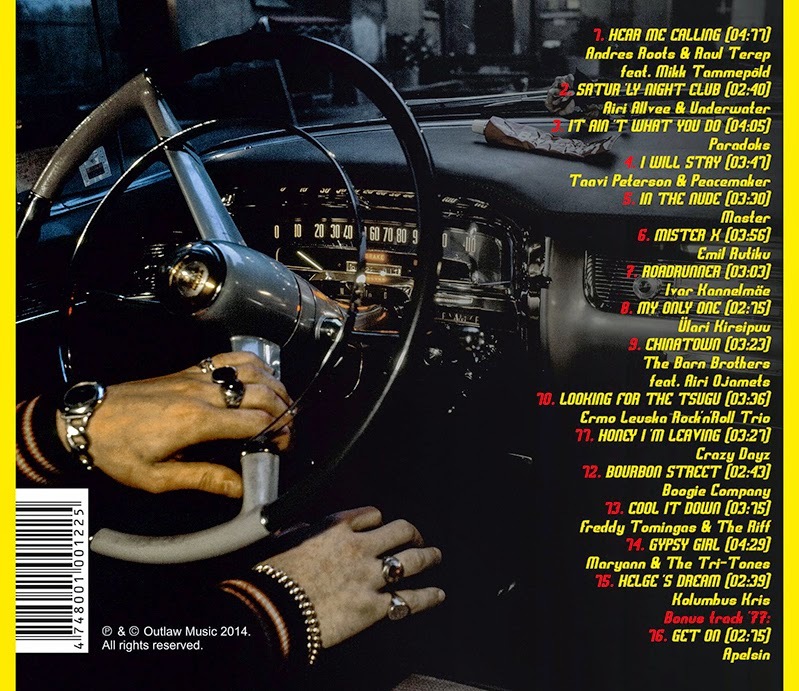 EDIT 12.12.2014: Now also available in FINLAND from STARDUST RECORDS!